I enjoy wood turning. I learned a few skills in the basement workshop at the hospital I lived in. It was a reason to get out of bed when I most wanted not to. I use different chisels these days but it is a similar passion. My mother was a potter so I grew up watching things spin. I think what most impresses me is how pressure from one point affects the entire sphere in an instant. 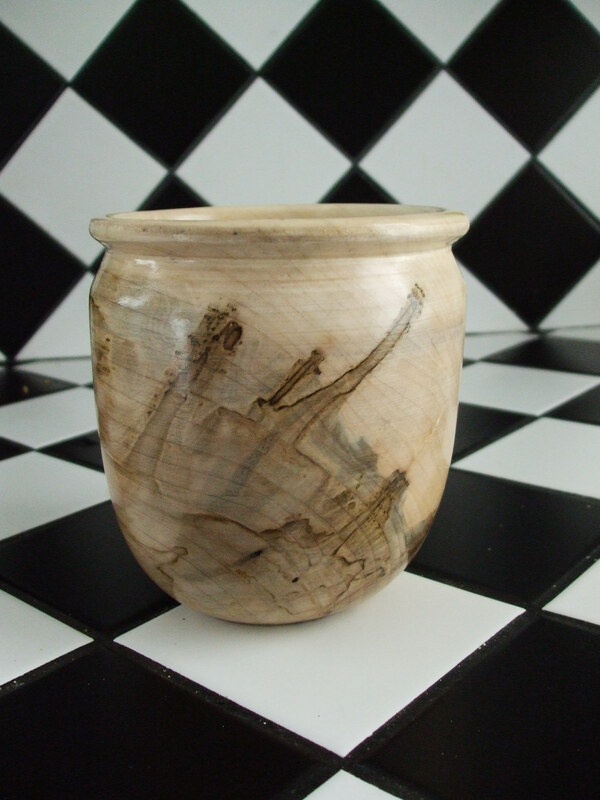 I have shown people my wood turning skills and most cower in the furthest corner as I tame a lopsided piece of wood that due to speed and momentum is capable of walking a six hundred pound lathe across the floor. I recently had a rather large piece break through the ceiling and I suddenly considered my teeth. Most days I turn rotten bowls and vessels. I am humble enough to admit that some of this is my fault but in fact I often start with rotten wood. Some of my disasters are due to the weaknesses in the wood itself. When a piece rolls across the garage floor I curse the monkey with the tool in his hand but I am seldom surprised. As often as not, it is just as things are going well; the final cut, the last grit of sandpaper. I am learning but it is a fool’s pursuit. One day I only walked away with one of six attempts. The rest is special firewood. One would wonder at my brains or laugh at my skills if they looked only at my failures. I have gained skills on each bowl that flew past my face shield. Without my failures I would in many ways be less. I should have learned on some easier wood but there is magic in the dance of decay. The struggle creates brilliant colours, lines and patterns. Nothing I could do with the best lathe and no tool in a (wo)man’s hand could copy, match or compete with what nature itself does. I attempt a pleasing shape and burn my fingers sanding out my gouges but all I really do is uncover the dance of decay. This entry was posted in Observations and tagged forensic, friends, hospital, mental health, occupational therapy, patient, treatment, trust by brettbatten. Bookmark the permalink. Nice to hear from you. I give my scraps away and interestingly many are bowl shaped. I hope all is well with you or on the way to becoming so.